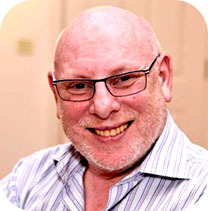 C2D is the company of John Fisher, an experienced management development and soft skills trainer, coach, facilitator and counsellor who is a chartered psychologist working within businesses. With over 20 years experience, John provides courses that are engaging, informative and rewarding for businesses and individuals in the UK and abroad. Thank you for your time, comprehensive delivery and warm welcome last week. I have already fed back positive words to my team about how much I enjoyed your session. Thank you very much for the session last week. Very well structured, with strong points and managed to cover all this material without us feeling that you were rushing! I also do appreciate the reading list provided, it was a pleasant surprise! Many thanks for the really enlightening day on Thursday. I think it is very important to create the right impression when we first start with the organisation – and you did a fabulous job.